Bob Bryla (Plattville, WI) OCP, is an Oracle 8, 8i, 9i, 10g, and 11g Certified Professional with more than 15 years of experience in database design, database application development, training, and Oracle database administration. He is the primary Internet database designer and an Oracle DBA at Lands End in Dodgeville, Wisconsin. 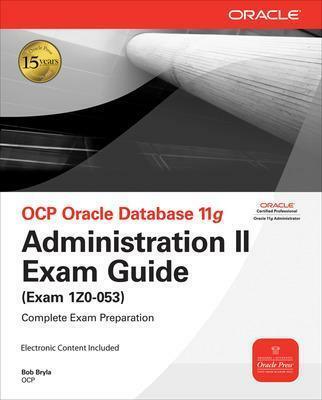 Bob is the co-author of the Oracle Database 11g DBA Handbook from Oracle Press (McGraw-Hill), and the OCA: Oracle 10g Administration I Study Guide (1Z0-042) and OCP: Oracle 10g Administration II Study Guide: Exam 1Z0-043 from Sybex/Wiley.